Wireless Charging : Just lay down your Qi-enabled device onto the charging pad, then the pad will charge your phone wirelessly. Safety Guarantees : Over-voltage, under-voltage, short-circuit protection to ensure safety for your cell phone. Blue breathing light indicates that your phone is in charging. 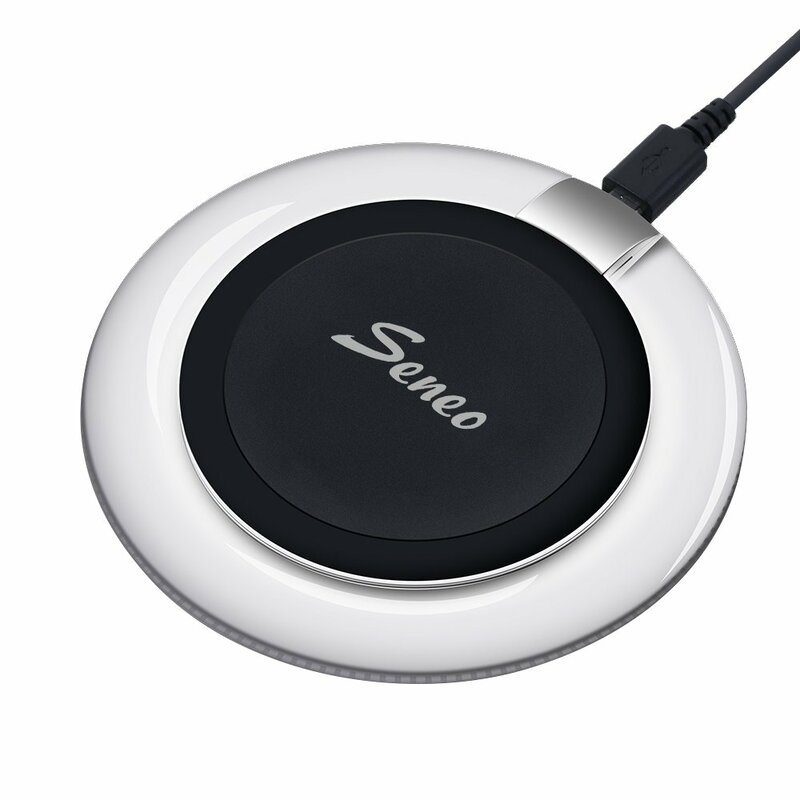 Fast Charging : Up to 5V-2A input and 5V-1.5A output, this wireless charger charges your devices in a high efficient. Breathing LED Indicator : The built-in Smart Breathing LED light flickers when a phone is charging on it, and the soft breathing light won’t cause any distraction to its user even at night. Popular Compatible Models : Galaxy S6 / S6 Edge / S6 Edge Plus; Google Nexus 4 / 5 / 6 / 7; Nokia Lumia 920 / 1020 / 928 / 1520; LG Optimus Vu2 / G2 / G3; Moto 360 Smart Watch / Moto Droid Maxx / Droid Mini; HTC 8X / HTC Droid DNA; SonyXperia Z4v.